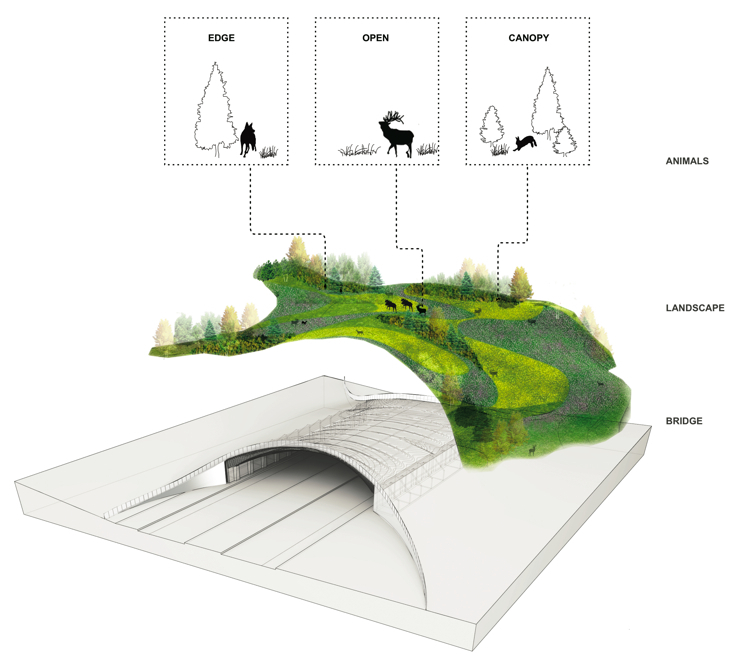 Submission to the ARC International Wildlife Crossing Infrastructure Design Competition by New York City landscape design firm, Balmori Associates. Image via Fast Co. Design. The Buenos Aires Bike Program launched this week. The public bike system, which offers free use of bikes for two hours to users who register via the Internet, began operations with an initial 100 bicycles at three stations around the Argentine capital. Copenhagen, one of Europe’s two “bicycle capitals,” has started to turn the Danish capital’s extensive network of cycle paths into bike highways in an effort to get locals to leave their cars at home. Bike commuting has taken off in the United States, with cities like Chicago, San Francisco, and Washington, D.C. seeing an especially high number of those who choose to go to work on two wheels. In Toronto, the light rail plan known as Transit City, which calls for the construction of new lines along the streets of priority transit corridors, is in danger of being killed. The city’s newly inaugurated mayor has already written the eulogy. Speaking of Toronto, after meeting its key targets, BIXI Toronto is set to launch in May 2011. The number of people living in African cities will triple in size over the next 40 years and by 2050 60% of Africans will be city dwellers. Lagos, Nigeria is set to become the continent’s biggest city. The New York City Department of Transportation has announced that the city agency will be distributing thousands of pre-paid debit cards to the public this holiday season as part of the You the Man anti-drunk driving campaign. Despite the falling rate of traffic fatalities across the state, more than a third of Texans who participated in a Texas Transportation Institute recent survey say they don’t feel any safer on the Lone Star state’s roads. Russia and Qatar got the 2018 and 2022 World Cups. Moscow’s stadium which will be the main stage of the world’s largest sporting event is set smack in the middle of a park. One thing is missing in the preview renderings: parking. More and more today, cities everywhere are creating public squares and urban parks, rather than expensive mega-projects, to make their downtown areas more livable. The ARC International Wildlife Crossing Infrastructure Design Competition has released the finalists for the contest to create bridges “intended to solve the problem of ensuring safe travel for humans and wildlife.” The end of roadkill is near! The United States’ top environmental officer, Lisa Jackson, has cited more fuel efficient cars as one of the top achievements of the past 40 years. To clean up the ever-hazy air of Hong Kong, the city is looking to the sea and outfitting vessels with clean technology to clear up the smoggy skies. The Vatican is looking for a new Popemobile, preferably one that runs on electricity. The Chinese did it again! The CRH380A high-speed train broke a world record Friday for fastest unmodified commercial train, reaching speeds of up to 481.1 kph (298.9 mph). In Uganda, plastic waste collected from the suburbs of the capital, Kampala, is being used to produce high quality fuels that are suitable for use in a variety of vehicles. BMW’s DesignworksUSA and Siemens have designed a new subway car that is 97.5 percent recyclable! The train, called Inspiro, is expected to be rolling along the tracks of Warsaw by 2012.